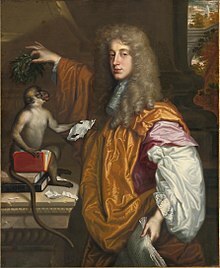 John Wilmot, 2nd Earl of Rochester (1 April 1647 – 26 July 1680) was an English nobleman, a friend of King Charles II of England, and the writer of much satirical and bawdy poetry. Whether another man's were good or no? That 'tis the best; and there's a fame for me. Why then the world shall suffer for 't, not I. To let it have its beastly will on me? To every rule their musty customs spawn? Whene'er they censure, they'll be in the wrong. She's a sly hypocrite, or public whore. Of idle rumour) keep at home and write. With arms, legs, lips close clinging to embrace.